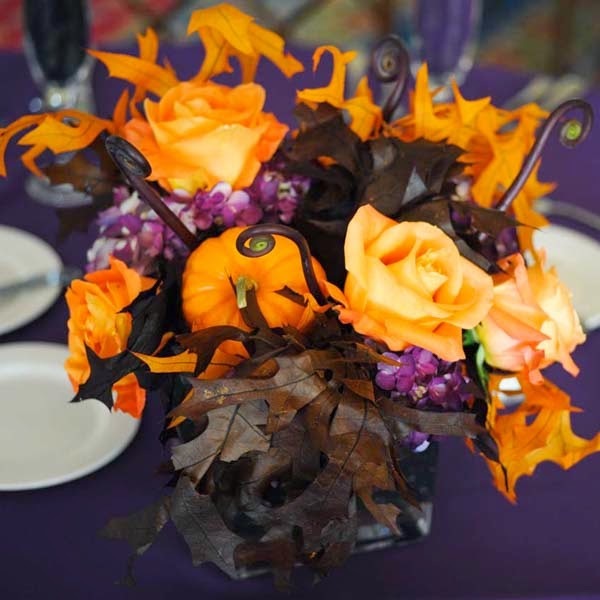 A Halloween inspired wedding is never complete without wedding flowers to complete the mood. You have to choose the right set of flowers to make the entire setting of your wedding event truly compatible with your theme. You might find this non-traditional like and very inappropriate for a sacred ceremony such as a holy ceremony but these ideas are not desperate attempts to desanctify the ceremony. The main purpose of these Halloween weddings is to simply make the event memorable not only for the bride and groom but for the guests as well. A wedding ceremony based on Halloween is only an attempt to "dress-up" the wedding, but the essence and the whole purpose of the ceremony still remains intact. A Halloween wedding is not complete without wedding flowers to match. This is important because you do not want your wedding to be a conglomeration of different sort of motifs. You want a wedding that is solid and has just one theme. And so it is important that you are able to choose the appropriate wedding flowers. It is not that difficult to choose the perfect flower that will go with your theme. Just go with flowers with deeper colors to make it more noticeable. You can never go wrong orange hawkweed, brown hydrangeas, purple aster, and orange roses. You may also choose among orange Asiatic lilies, green button mums, and orange poppy. These kinds of flowers will give the necessary effect that you like to enhance the general impact of your wedding. However, do not over do it. Too much of these flowers may take away the attention of the guests from the other details that can be neglected if you bought too much of these. Furthermore, do not put the Halloween wedding flowers where they should be as is. A series of orange and brown flowers can be boring if not accented properly. There are lots of other things that you can do with these flowers to make it more interesting and an art in it. Make it more interesting by adding a candle stand at the center of a bouquet. You may also tie silver or gold ribbons on its stems to create some contrast and break the monotony. 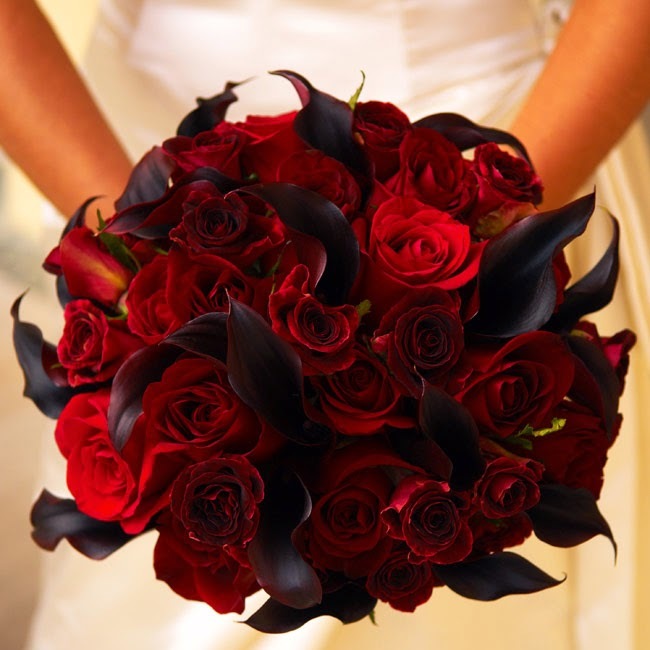 As for the bridal bouquet, you may use black magic roses. These roses are perfect for your theme since its petals are so red they almost look black. Depending on your angle, the petal may be either red or black for your perception. Remember that the kinds Halloween wedding flowers that you should use are some of the only things that you should consider in planning for any kind of wedding. The most important thing that should always be remembered is the essence of the wedding, which is the union of two people. In the end, years after the marriage, people will less likely remember how grand the wedding have bee. The only thing that they will see if you are still married or not. These are just some of the very interesting things that you can do with Halloween wedding flowers.